Sarah Brecht will be coming to Japan on a short-term mission trip to serve as the lead vocalist in a Christmas Musical Production at Mustard Seed Christian Church Osaka. Sarah Will be joining Matt & Jessica Whelchel, church-planting missionaries who have been serving in Osaka for five years. The Christmas season is a huge opportunity for the gospel, especially in Japan. While every Japanese person has heard of Santa Clause, very few have heard that Christmas celebrates the birth of Jesus. In fact, it is estimated that 95% of Japanese people have never heard the gospel at all. Japan is less than 1% Christian, causing it to be the 2nd largest unreached people group in the world. How can that be, you ask? Well, there is only 1 church for every 16,000 people and 60% of churches are fewer than 15 people. There is only 1 missionary for every 64,000 people and the number of missionaries in Japan has decreased over 30% in the last few decades. Japan needs people to preach the good news. Just as we were once told of God’s love and forgiveness, so all non-Christians must be told, that they might be reconciled to Him. Mustard Seed Christian Church (MSCC) in Osaka, Japan runs about 100 people, but through a CHRISTMAS MUSICAL Production they did in 2015 and 2016, they saw an average of 300 people at every performance. To date, over 1,200 people have heard about the birth of Christ and why it’s relevant today through this Christmas Musical. 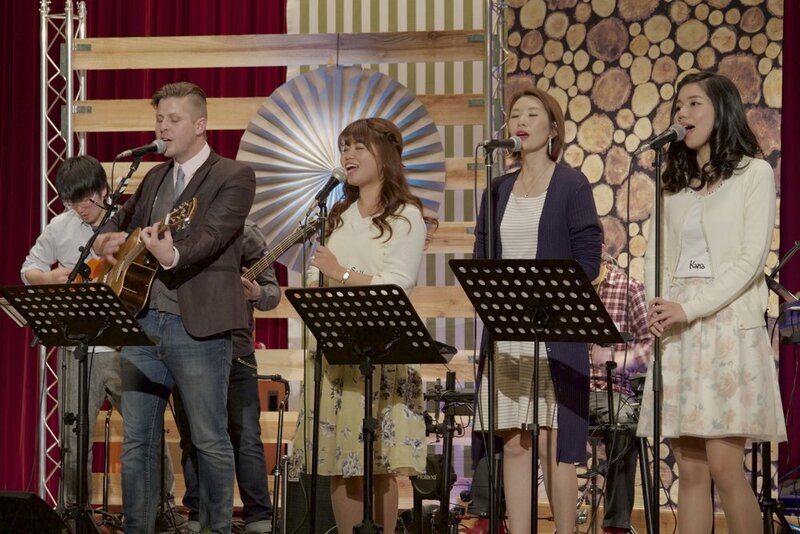 Since MSCC’s last Christmas Musical, they have planted two additional Mustard Seed Network Churches, sending some of their best people into other unreached urban cities in Japan. But now they need some help in temporarily replacing the talent they lost. MSCC believes Sarah Brecht will be an invaluable addition to their Christmas Musical this year. She will be the lead vocalist and her voice will communicate the gospel to hundreds of non-Christians, many of who will be hearing it for their first time. Sarah needs to raise $1,700 by November 28th for this short-term mission trip. Mustard Seed Network is a 501(c)(3), non-profit organization. All donations are tax exempt. Thank you for your message! We will reply to you soon! Blessings!